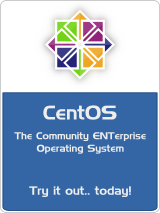 CentOS has 3 events happening in the next month or so. Please come out and join us at as many of them as you can. CentOS Dojo in Santa Clara, California on 31 March 2014. CentOS Dojo in Denver, Colorado on 10 April 2014. The CentOS Project at the Red Hat Summit in San Francisco, CA on 14-17 April 2014. Anyone who is using Delta RPMs (AKA - the yum-presto plugin) on CentOS-6 or Fedora knows how much of a PITA it is to generate the drpms. It takes forever to generate. Ian Mcleod has posted some new functionality on the Yum Developers mailing list that addresses this issue. Here is the git repo that contains the new code. You can get copies of the RPMS from my people.centos.org location for testing. 1. You will need to also install pyliblzma package from epel to use it. 3. As discussed in the Yum Developers thread above, you want to make sure to assign a value to --max-concurrent-delta-rpm-size . The number to assign is bytes ... so 16GB (if you have a 64GB ram machine, and the recommended amount is about 25%) then it would be 16 x 1024 x 1024 x 1024 = 17179869184 (as an example). That machine also has 24 CPU cores ... so I used 24 for --workers and --delta-workers.